It sounds like one of those bizarre celebrity urban myths, but turns out this one is true. 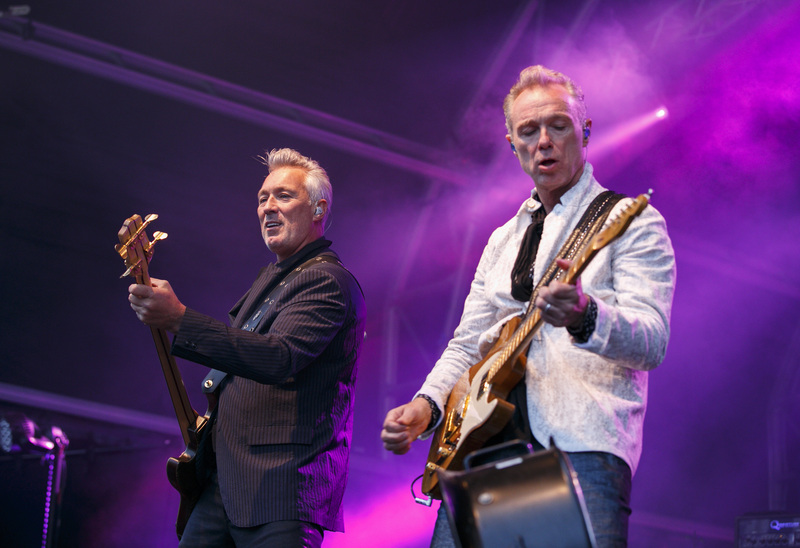 Spandau Ballet star Martin Kemp has revealed to the world that he has three kidneys. Not only that, but his brother Gary only has one! The former EastEnders star said on Loose Women: "I have got two big ones and one tiny, small one, but what's really odd about it is that my brother, who is two years apart, only had one. "I went for an X-ray one day and they were doing a medical and said 'you've an extra one' and I said 'well, that's my brother's!'" It is common for most people to be born with just two kidneys, but it is also possible to survive with just one. However, Martin admitted that the extra organ - which is there to help the body filter out alcohol from the blood - didn't help him when it came to the hangover department. He said: "I used to get big hangovers, that's a fallacy, but I don't drink anymore, which is really nice. I stopped drinking years ago." Earlier this year, Martin appeared on the celebrity edition of The Great British Bake Off, and proceeded to bite the head off a biscuit version of former bandmate Tony Hadley. Ouch!